As we are stepping towards the holiday season, we will see a number of Christmas markets start to pop up all around Vienna. If you are new to the city or are visiting, then you can use our guide to find the best 10 Christmas Markets in Vienna, to enable you to experience the holiday season at its best. 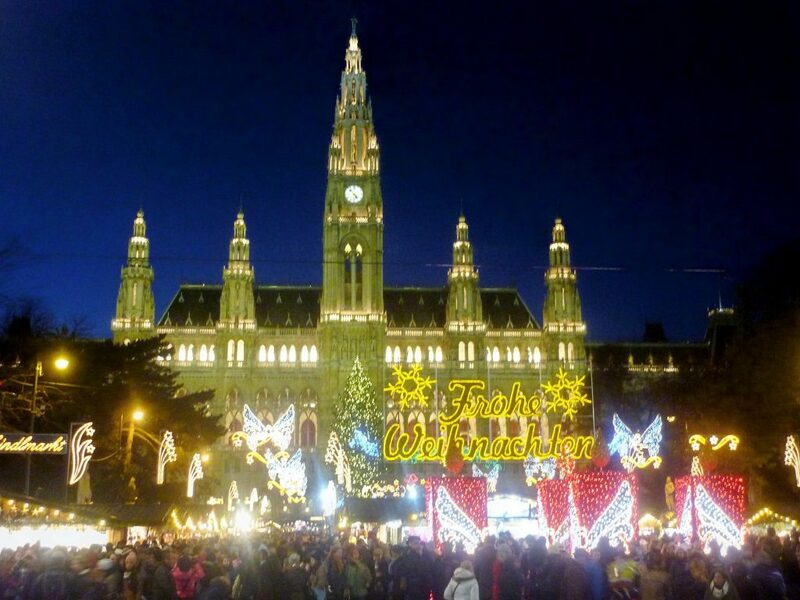 If you love Christmas, then Vienna is the ultimate place to be around during the holiday season, as there are many market that you can explore right until Christmas day, meaning you will be breathing in the Holiday cheer for more than a month even before Christmas. Here are the Top 10 Christmas markets in Vienna, and once you are done with them; you can start exploring the rest. The market is located in the heart of the city, and maintains a traditional feel, without going too overboard. So you can quietly enjoy all that Christmas has to offer, without letting it get too much to handle. The market offers seasonal decorations, handmade items, bear, and endless options of gifts. So you can easily find something for everyone. 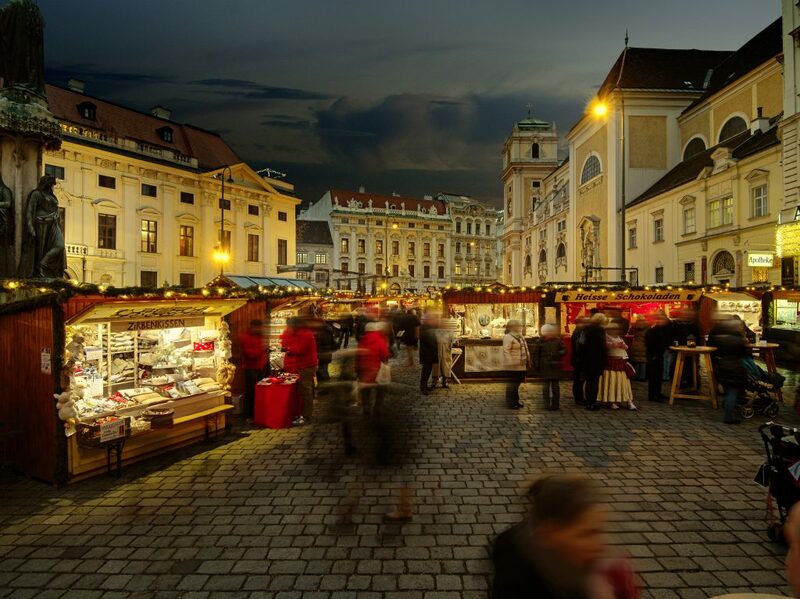 As Vienna is known for its food, the market offers excellent traditional dishes, so you can take in the complete experience of shopping, eating, and drinking in a familiar setting, along with seasonal music that will keep your spirits up, and the love for Christmas alive. If you happen to visit the market in the evening, you will be able to see many carol singers accompanied by violins and bugles players. The market is located at the Freyung, and is open from 20th of November, until 23rd of December. This is a splendid and traditional Christmas market that is situated on the university campus of the old Vienna hospital. This market highlights the local craftsmen and their work. As artisans from all around Vienna come together to demonstrate their skills. So you can find anything from candle makers, artwork printing, and bag makers. It is as well a lovely place to get to know the locals, and learn more about the city. There are two main rinks where you can sign up for ice curling, and can enjoy a great time with warm food, and fresh drinks. Here you will find a few activities to keep your children entertained. These include a live show by Punch and Judy every Saturday, along with a merry-go-round, and a choo-choo train. The village is located at the Altes AKH, and is open from 18th November, until 23rd December. 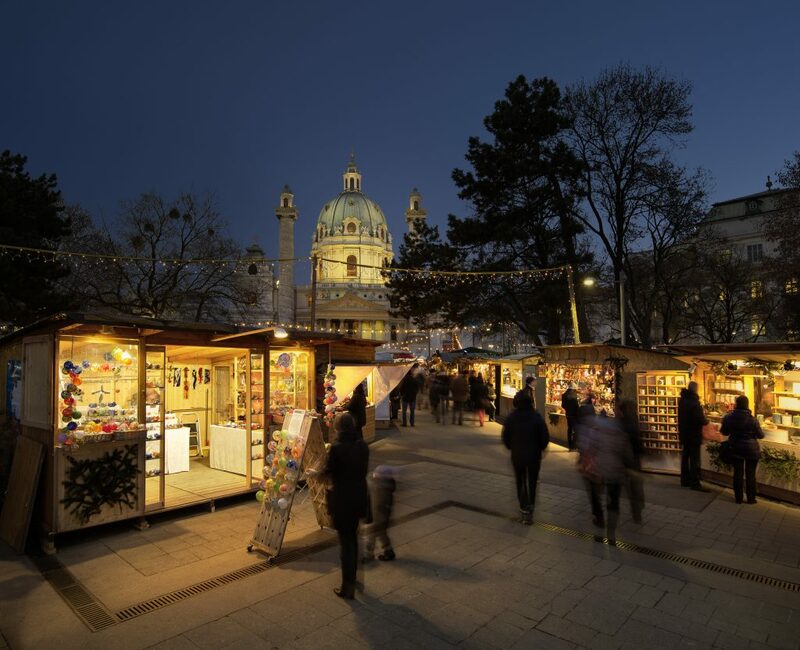 The market has become a bit commercial in the last few years, but it still one of the best Christmas markets in Vienna, as it offers a romantic atmosphere and focused on things such as crafts and local arts. The market is located in the historical Biedermeier quarter where you can admire the great architecture. 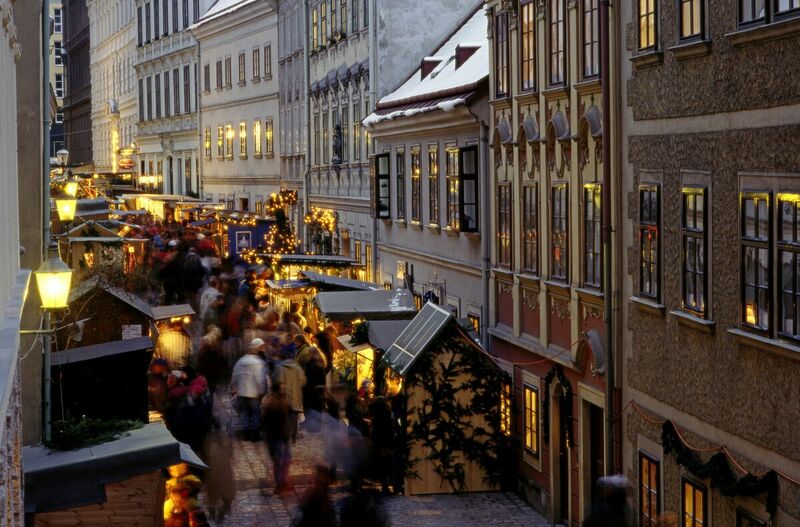 The main streets where the market is taking place bringing the ultimate Christmas experience are the Gutenberggasse and the Spittelberggasse. Both present a wide range of shopping, but the Gutenberggasse street has a great selection of foods, so you can easily indulge in some of the best seasonal cuisine of Vienna. In addition, your children will be able to enjoy a great deal of activities, along with adults. So if you are traveling with kids then you should consider the Spittelberg Christmas market. The market will open on the 16th of November, and end on the 23rd of December. If you are looking for an elegant Christmas market then this one has the perfect setting. Having the Schönbrunn Palace as it’s background, it presents the most beautiful and magical scenery. In addition, there is a spectacular Christmas tree that will completely mesmerize you. The market offers the perfect Christmas touch, with handmade Christmas decorations, and gifts that are made using natural materials. Moreover, there is a complete food and drinks range, that includes warm Christmas cookies, snacks, and mulled wine. So you can easily spend the day taking in all the market has to offer. If you are traveling with kids, then you are in for a treat, as the market has different routines on different dates, you will have to check locally to confirm what is being offered this year, but we assure you it will be enough to keep your kids entertained for days to come. The market is open from 18th of November, until 26th of December. It is considered as one of the most liveliest Christmas market in Vienna, and helps you get in the perfect Christmas mood. Here you will be able to find dozens of booths, that offer a great range of contemporary and traditional Christmas decorations and gifts. In addition to the perfect shopping experience, and the lively crowd, you will find many traditional and classic Viennese cuisine. So you can easily enjoy mulled wine, with hot chestnuts; along with many complete meals to keep you full and happy. So you can keep on adding to the Christmas spirit, and enjoy a beautiful day here at the Christkindlmarkt Rathausplatz. Moreover, the market offers a great deal for kids, so they too can take part in the ongoing Christmas holiday. The market is located in front of the City Hall and is open from 11th of November to 26th of December. If you are looking for quality artisan gift shops, then the Weihnachtsmarkt Am Hof is the perfect place to visit. Here you will be able to find great deals from ceramics, to delicate jewelry, glassware, leather items, and hats. Along with cosmetics, kitchen accessories, and attraction for kids. Allowing for a complete and unique experience than most Christmas markets in Vienna. Furthermore, the market is known for its variety of sausages and ham, along with hot baked potatoes, waffles, and gingerbread. The market is open from 17th November, until 23rd December, and is located at Am Hof. The market offers more than seventy booths from local craftsmen and artisans. That are lined up right in front of the baroque Church of Saint Charles Borromeo. In addition, the Christmas market features many live concerts on a regular basis. So you can enjoy anything from electronic pop music to harp solos. This market features fire shows, and demonstrates different arts and crafts at the booths. So you can enjoy beautiful ceramics, glass beads, pottery, and Tiffany glass. 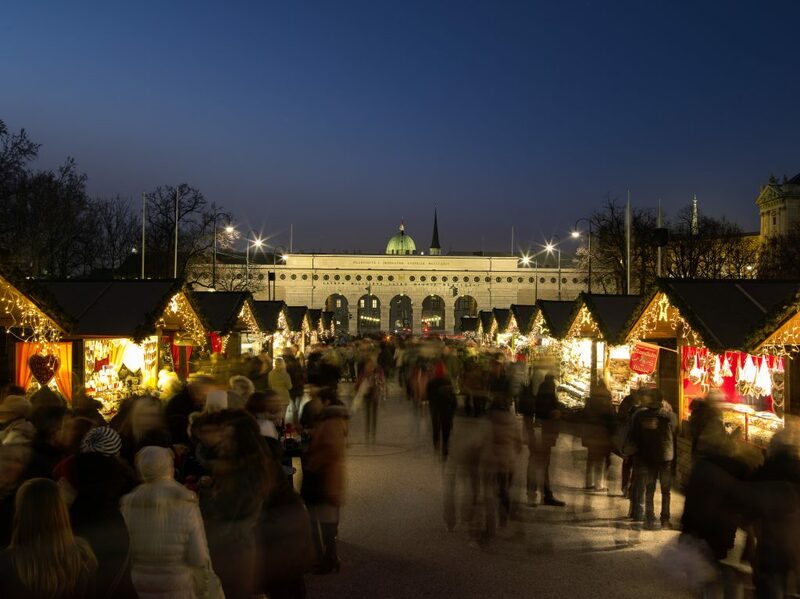 The market is located at the Karlsplatz and Resselpark and is open from 17thst of November to the 23rd of December. The Christmas village sits between tow impressive buildings, known as the Museum of Art, and the Museum of Natural History. The place is just two minutes away from MQ, and here you will be able to find a splendid Christmas market, that offers tons. In the center of the square, is the imposing statue of the former Austrian monarch. In addition, the market offers decorated stalls, foods, drinks, and a great deal of fun. The marker is open from the 22nd of November, until the 26th of December. It does not matter if you are a Christmas lover or not, as these markets are the perfect space for anyone who loves beautiful and unique things. Here you will be able to enjoy good foods, drinks, and a wide range of shopping goods. There are such huge numbers of various markets in Vienna! Endeavor to visit the ones that have what you need. While they all have stalls with nourishment, Glühwein and broiled chestnuts, everyone has its own interesting style. Visiting with kids? Unquestionably go to Karlsplatz or AKH. Need a comfortable, bohemian air? Attempt Spittelberg. Searching for a great setting for photographs? The Rathaus or Belvedere Palace are the best. Do you need to stay away from the gigantic group at the well-known markets? At that point come in the morning, or when the business sectors open. Might you want to appreciate the twinkling lights all around? At that point intend to touch base at nightfall, and experience the business sectors during the evening. Some stands will accept credit cards, yet many only cash. Make sure to try: Maroni (simmered chestnuts), Kaisekrainer (Sausage with cheddar in the center), Bratwurst (broiled hotdogs), Soup in a Bread Bowl, Pretzels, Kaiserschmarrn, Waffeln (waffles), Lebkuchen (gingerbread), Gebrannte Mandeln (toasted almonds), Bratkartoffel (prepared potatoes), Heisse Bauernkrapfen (hot agriculturist’s doughnuts), Krapfen (filled doughnuts), Glühwein (thought about wine) and Punsch (or Kinder Punsch without liquor). Glühwein, Punsch and alternate heavenly beverages at the Christmas Markets come in charming mugs. After you are done with your drink, you can either keep the mug as a souvenir, or return it and recover your store. (Ordinarily around €2-4) Each market has their own extraordinary mug, and they are diverse every year. Visit as much as you can. Make the rounds and visit the greatest number of markets as you can. I recorded a couple of the greater, more well-known Christmas Markets in Vienna above, yet there are innumerable others that I have not recorded. Investigate the city, and you are certain to discover adorable little markets around each corner. The Christmas Markets are primarily outside, and it can get sharply cold in Vienna in December. Wear loads of layers, including warm base layers, caps, scarves and gloves on the off chance that you need to remain out more than a couple of minutes. On the off chance that and when you do get cool, warm up with some hot Glühwein or punsch!